The swashbuckling adventures of pirates in the Caribbean have long stirred up feelings of adventure and intrigue, but the reality of oceanic commerce and international battles for control of gold and silver can still be felt in the ruins of the historical fortifications of San Lorenzo on the Caribbean coast of Panama. 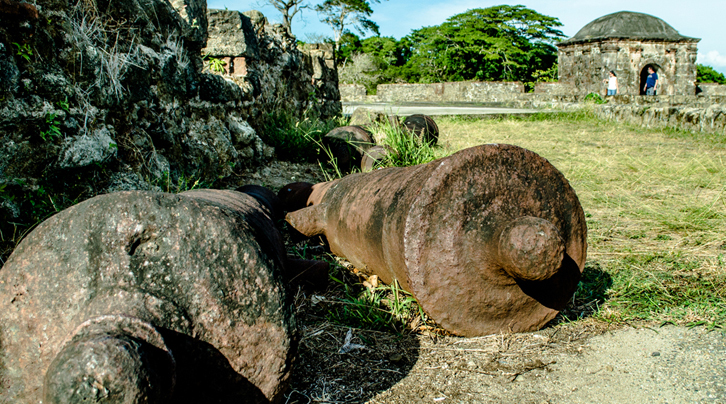 This strategic point was established as part of a series of coastal defenses that dotted the coast which included initially the port at Nombre de Dios and later the forts at the bay of Portobelo. 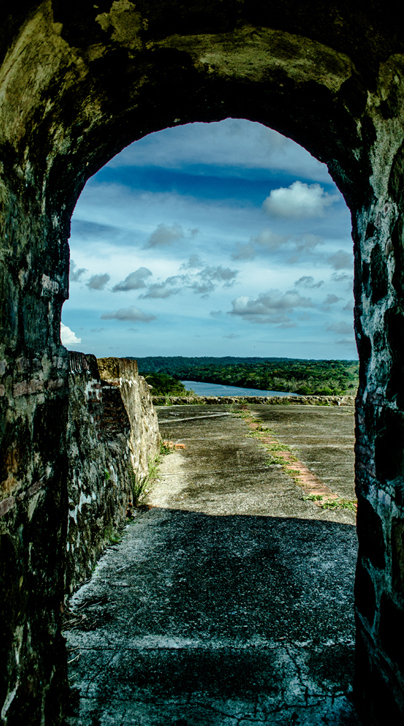 Located in the modern-day province of Colon on the west side of the the Gatun locks entrance to the Panama Canal, this crucial advantage point was held and rebuilt numerous times by the Spanish over a period of over 200 years. 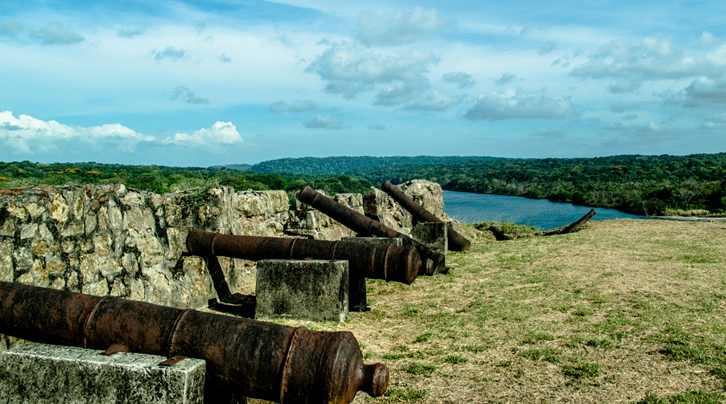 Numerous attacks by buccaneers laid siege to the fortifications and in 1670 the infamous English pirate Henry Morgan completely destroyed the existing structures which were located down at sea level at the mouth of the Chagres River. 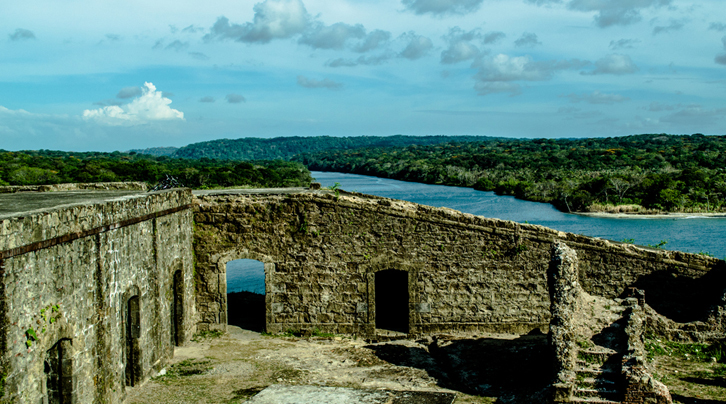 Shortly after, the Spanish built a new, stronger fort high on the cliff overlooking the Rio Chagres, the remains of which can be explored today. By the mid-1700’s, however, Spain sought out new routes to transport their goods on and the fort was used as a prison until the mid-1800’s when the Gold Rush in California brought prospectors through Panama and the town of Chagras below the ruins of San Lorenzao as a preferred alternative to traveling across the U.S. With the installation of the new and significantly more efficient Panama Railway, river travel up the Chagres rapidly diminished and by 1900 the area was largely abandoned. Panama took the first step in officially recognizing the historical significance of San Lorenzo and placed it under government protection in 1908, just a few years before the Panama Canal was completed. Later in 1980, the United Nations Educational, Scientific and Cultural Organization (UNESCO) added the ruins of San Lorenzo and Portobelo to their list of World Heritage Sites. The last few years have again seen an increase in travelers passing through the ruins of San Lorenzo seeking treasures, but these visitors are now armed with cameras and seek the riches of cultural experience and unforgettable memories. A small fee is charged per person at the entrance to the now designated 12,000 hectares (30,000 acres) of the San Lorenzo Protected Area, but once inside the area there are various small turn-offs to explore and enjoy. Located on the nearby decommissioned Fort Sherman U.S. Military Base, visitors can visit Shelter Bay Marina for drinks, food and even lodging.